Where did the time go? It feels like the campers only just arrived yesterday and yet we are wrapping up the first week of camp. Already the campers are talking like they have known each other for years instead of a few days. 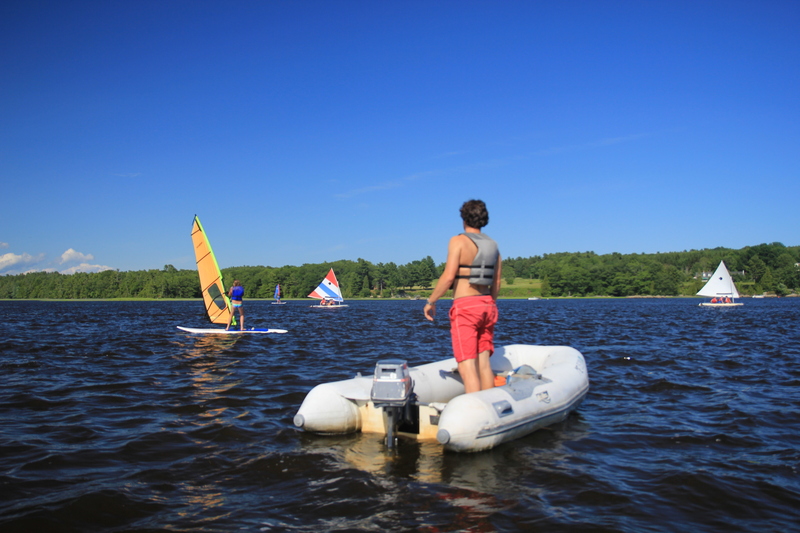 Everyone is signed up for four daily activities that range from sailing, windsurfing, and kayaking to tennis, yogalates, and ultimate Frisbee. During each activity campers are given the chance to learn a new skill and have fun while doing it. I have already mentioned the sailors, but it is worth mentioning again how well they are doing. The have advanced from simply going back and forth to the more complicated maneuvers, such as jibing and docking. The windsurfers have also been steadily improving. 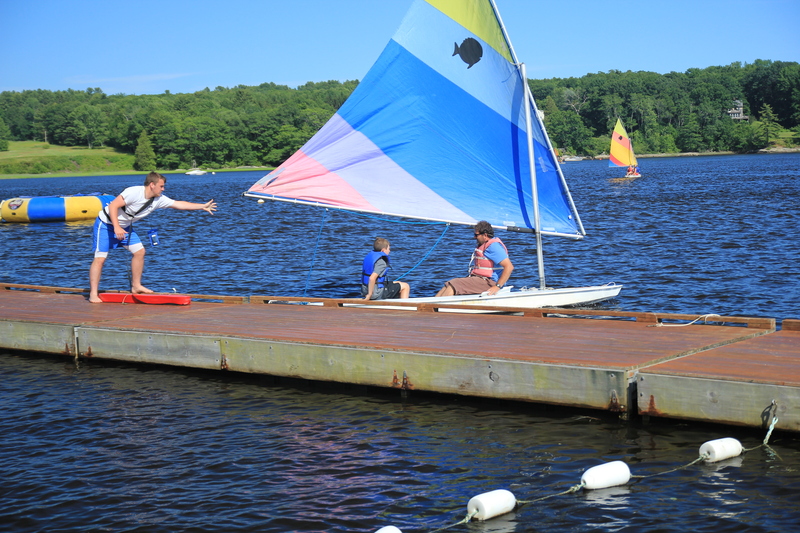 Windsurfing is a hard thing to learn and the campers this year have all been doing a great job. A lot of them can get in and out from shore without any help at all. On land improv has been experimenting with different characters. Yesterday they were each given the opportunity to come up with a character to play and then they were sent out to interact with other campers while staying in character. Campers met old sea captains, young southern belles, and other characters from their imaginations. Yogalates, a mixture of about 2/3 yoga and 1/3 pilates is made up of entirely French girls. They have been working on core strength, balance, even breathing, and meditation. Photography classes spent the first few days taking pictures around camp and today started developing the film in the dark room. Mountain biking activities are taking advantage of the nicer weather this weekend and exploring the trails in the nearby woods. 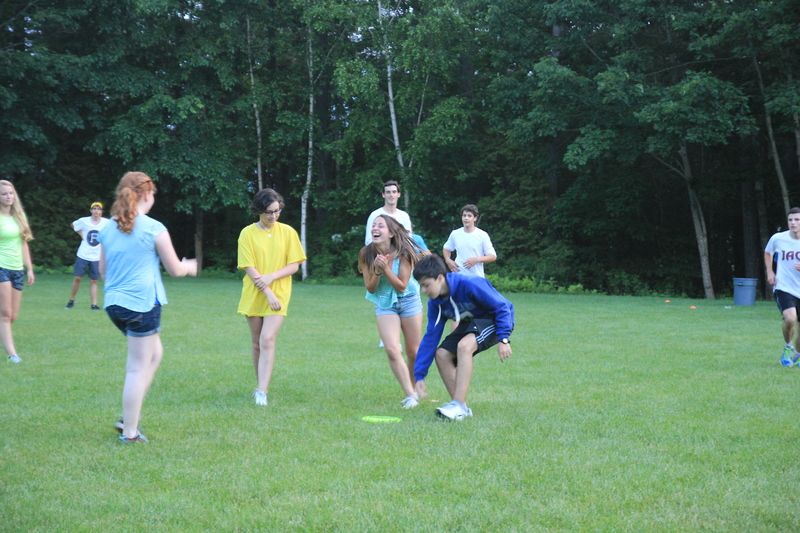 Ultimate Frisbee, a camp favorite, has continued its tradition of drawing in almost all of the free campers into a huge game almost every afternoon right before dinner. One camper told me yesterday that it is even better in the rain because you can slide even farther. Variety played an extended game of “The Floor is Lava” in the dining hall. I wasn’t there to see it, but I am sure that it was an interesting sight. For more updates and pictures check out our facebook page!